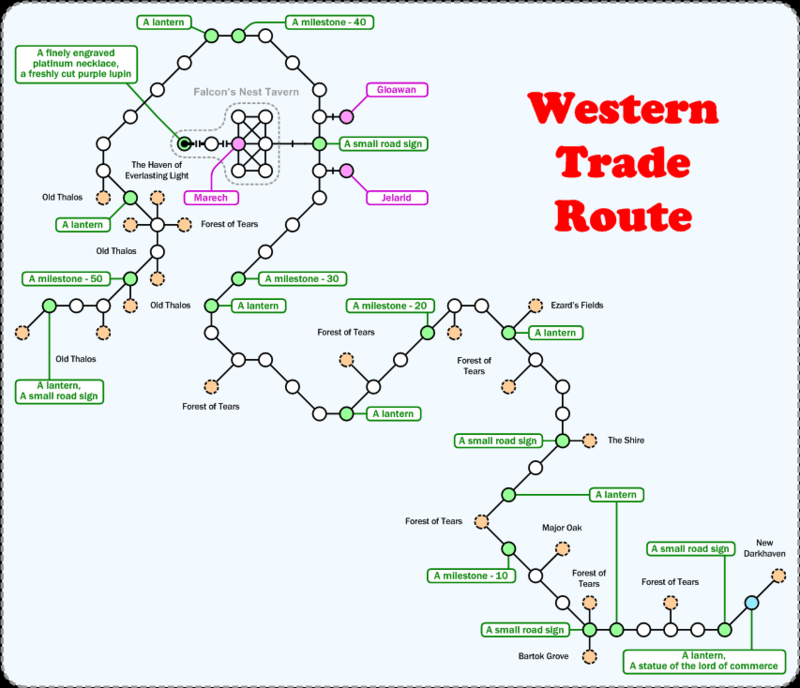 Western Trade Route. Home of Dennis Moore. Walk ( 6w, sw ) to get from DH to the room marked in blue.